The Old Cow Shed at Green Farm Cottages in Cutthorpe, near Chesterfield, Derbyshire sleeps 2 people. Green Farm Cottages near Chesterfield are three delightful cottages which can be found in a sleepy village, down a small country lane, on the owner’s non-working farm. As former barns, they have been sympathetically converted retaining many beautiful features such as exposed beams and exposed stone walls. Tawny Owl Barn and The Pig Sty each boast a hot tub (at cost), and for that added sense of relaxation, dressing gowns, towels and slippers are provided within the cost. Just 10 minutes outside the Peak District National Park, the properties are surrounded by farmland and fields, with the nearby Linacre Reservoirs and woods providing many walking trails amongst a carpet of bluebells in the spring months. The surrounding area holds a whole host of attractions with the town of Chesterfield, famous for its crooked spire, just 15 minutes away. The magnificent Chatsworth House and ever popular market town of Bakewell can be reached in just 20 minutes. Matlock with its cable car, the fascinating plague village of Eyam and Hathersage famous for its links to Robin Hood and the Eyre family, are all accessible in les than half an hour. The shop is 2½ miles from Green Farm Cottages near Chesterfield, with the pub and restaurant ½ mile from Green Farm Cottages. Tawny Owl Barn (ref 18220 [Tawny Owl Barn]), The Pig Sty (ref W44184 [The Pig Sty]) and The Old Cow Shed (ref UKC2608) can be booked together to sleep up to 11 people. The Old Cow Shed is all on the ground floor. Oil central heating, Calor gas, electricity, bed linen, towels and Wi-Fi included. Welcome pack. Enclosed courtyard. Bike store. Private parking for 2 cars. No smoking. Holidays at The Old Cow Shed, Green Farm Cottages run from Friday to Friday. Pets allowed at Green Farm Cottages - The Old Cow Shed. For a better idea of where Green Farm Cottages - The Old Cow Shed is, you can see Green Farm Cottages - The Old Cow Shed on the map below. 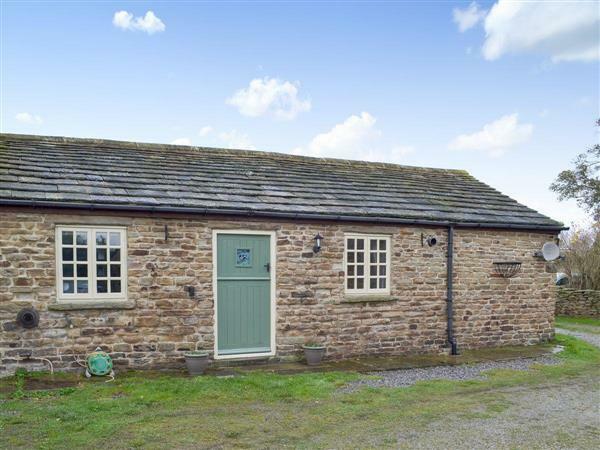 Green Farm Cottages - The Old Cow Shed is in Derbyshire; should you be on the lookout for a special offer, you can find all the special offers in Derbyshire. It's always worth checking to see what is on offer at the moment. Do you want to holiday near Green Farm Cottages - The Old Cow Shed (UKC2608), you can see other cottages within 25 miles of Green Farm Cottages - The Old Cow Shed; have a look to find your perfect holiday location.